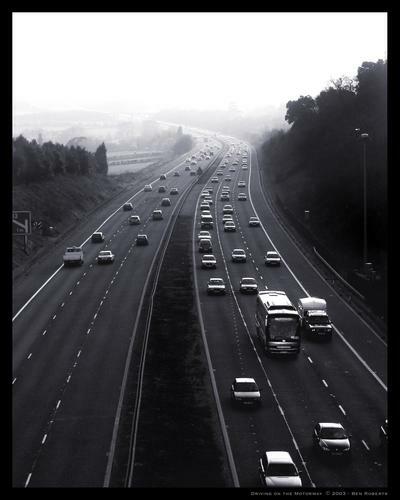 'Driving on the Motorway' by Ben Roberts - DPC Prints! The M5 between Avonmouth and Clevedon, taken from the Motorway bridge. This photograph originally appeared in the From Above Challenge.